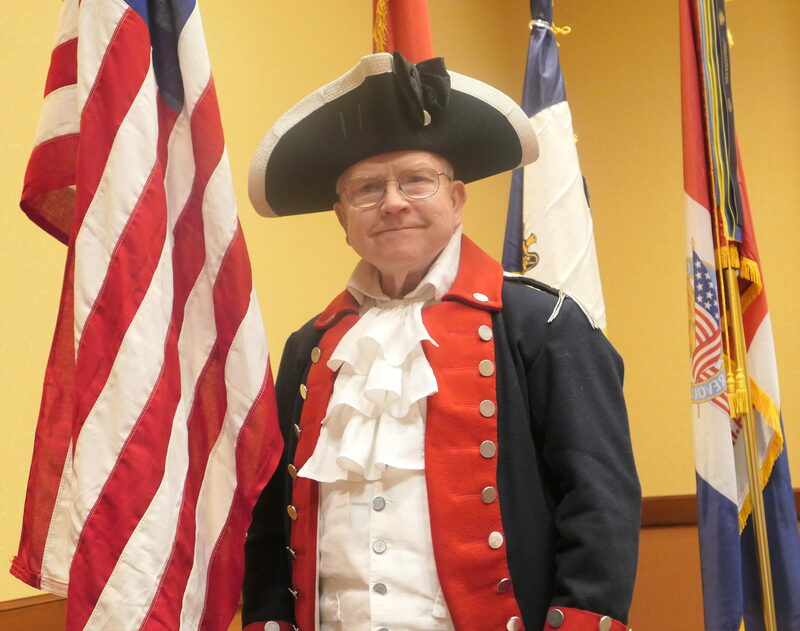 It is my pleasure to welcome you to the MOSSAR (Missouri Society of the Sons of the American Revolution) website. Our Society has been in existence for one hundred and twenty-nine years and is a member of the NSSAR (National Society of the Sons of the American Revolution). We have 15 chapters located at various cities across the state with 600-plus members. Our membership comes from all walks of life but we do have one thing in common, we all can trace our lineage back to an ancestor who served the cause of liberty during the American Revolution. If you are interested in joining our ranks please contact one of our chapters. Most of our chapters have a genealogist who can assist you in preparing your application. The purpose of the SAR is to promote and conduct educational, patriotic, historical, and civic activities, and to conduct programs that relate to the American Revolution and foster patriotism. We enjoy recognizing our veterans and other men and women who serve our communities. We are proud to recognize those individuals who properly fly the flag of the United States of America. We are pleased to recognize students in elementary, middle, and high school who make posters, do research and write essays relating to the American Revolution. Outstanding ROTC and JROTC cadets receive medals and certificates and Eagle Scouts can compete for scholarships. Let me encourage you to search for your patriot ancestor and join our organization. You will enjoy the camaraderie and make new friends while perpetuating the memory of your patriot ancestor who served the cause of freedom during the War of the American Revolution. Lastly, you will note in the picture above that I am wearing a Revolutionary War uniform as a part of the MOSSAR Color Guard. We are a small but active group within our membership that participates in parades, dedications, grave markings, and other community activities. If this is an activity that appeals to you we would be happy to welcome you to our group as will. If you desire additional information, do not hesitate to contact us.